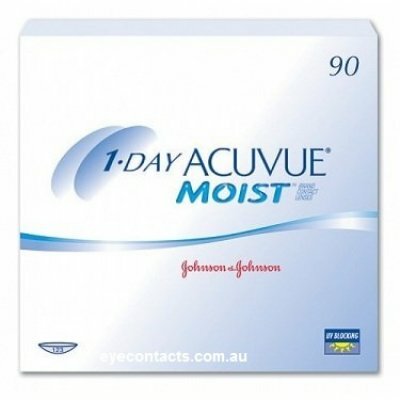 ACUVUE MOIST Contact Lenses have been designed to help eyes stay moist whilst providing excellent clarity throughout the day. No lens care or messy solutions required. The healthiest way to wear lenses. Preferred choice for allergy sufferers, clinical research shows that a fresh pair of contact lenses every day provide improved comfort for people suffering from mild discomfort and/or itching associated with allergies while wearing contacts, compared to lenses replaced at intervals of greater than two weeks. ACUVUE MOIST uses revolutionary LACREON technology to permanently lock moisture into the lens, helping your eyes feel comfortable and fresh.